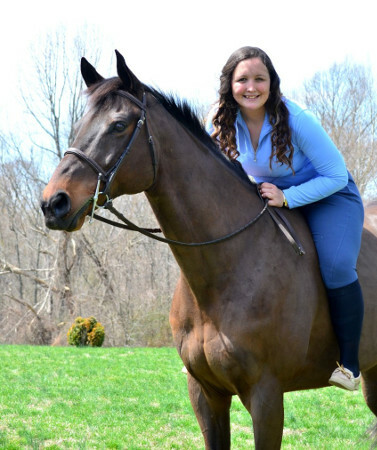 Hailey Johnson has lived in Southern Anne Arundel County since she was four years old, and although she didn’t live on a farm, she was "raised" at Enticement Stables. At age seven, Hailey went for a meet and greet with a pony named Beanie. That day, she fell in love with horses and Deana Tice and Carrie Ogilvie became her trainers. By age thirteen, she was riding the bus every day after school to the farm and spending almost every day in the summer at the farm to help clean stalls, do afternoon feedings, clean and organize tack and, of course, ride any available horse she could. In 2012, Hailey’s dream became reality and she got her own horse, Thai (AKA, Answered Prayers). Even though she has ridden and shown many horses over the years, he will always hold the number one place in her heart as he is the one she worked so hard for. Hailey started teaching beginner lessons in 2015 and loves watching her students grow into competitive riders. She is very eager to help shape the younger generations of equestrians. This entry was posted in Biographies on March 10, 2018 by ticeadmin.